According to a recent news article from Fox News, doctors are now able to perform a total hip replacement procedure as an outpatient surgery where the patient gets to leave the hospital on the same day. The article follows the journey of a male patient who elected to undergo a this outpatient total hip replacement. This patient found his hip was getting worse as the years went by and he could no longer walk without being in extreme pain, tie his shoes, or do many other things he normally did before his hip had deteriorated. People at work also asked why he was limping so much, and that is when he decided to undergo the operation. Normally, a patient would have an operation, spend a few days in the hospital and be transferred to a rehabilitation facility or sent home so a home healthcare worker could come over and help with the rehabilitation process. However, this patient was having the new outpatient surgery that is now available. He arrived at the hospital and had a total hip replacement procedure performed. Less than two hours after he was out of surgery, he was transferred to a special recovery center in the same building, where he was taught to walk with with crutches and go up and down a practice staircase. Two more hours later, he was allowed to get in the car with his wife and head home. It is estimated that there are more than 340,000 total hip replacement procedures performed each year in the United States alone. It is not only one of the most common surgical procedures, it is also considered one of the most successful procedures in all of medicine. The reason for this is that after a successful total hip replacement, most patients are in much less pain than they were in before the operation and feel better than they have in years. Doctors say that patients in their 70s feel like they are in their 40s or 50s again when they walk following a total hip replacement. 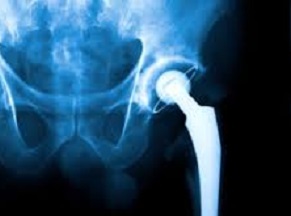 While there has been a lot of progress in total hip replacement surgical techniques, there have also been a lot of problems caused by defective hip devices. One of the most notable is known as the DePuy Pinnacle or ASR hip. The DePuy Pinnacle or ASR hip was designed with a metal-on-metal joint construction, which is much different from the typical joint made of cement and plastics. DePuy marketed the hip as having less friction, however, as it turns out, when biological grade metal is rubbing against another identical type of metal with extreme pressure, it will cause more friction and not less. This will cause metal shavings to break off, and they can lead to a total hip replacement device failure. They can also cause a serious form of poisoning known as metalosis if they enter the patient’s blood stream, which is often the case. If you have had a hip replacement recently and are experiencing problems and are told you need a new implant, you should contact a Boston hip replacement injury attorney to discuss your rights to a full and appropriate financial recovery.